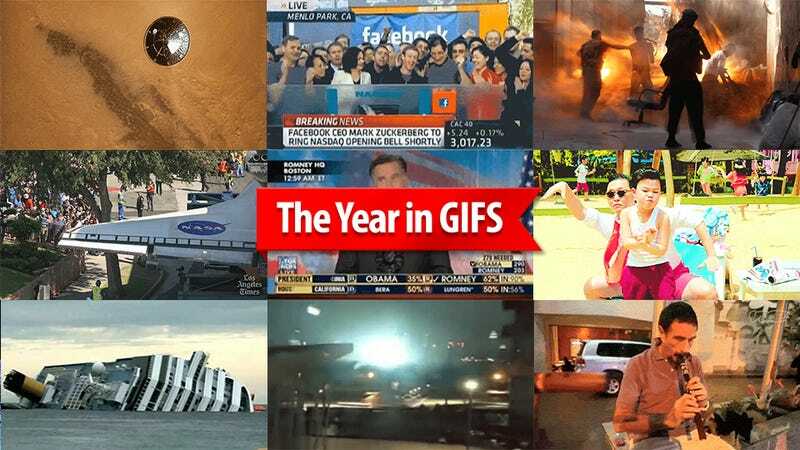 "GIF" is officially the word of the year, so it's only appropriate to use it as a lens through which to view the most important events of 2012. 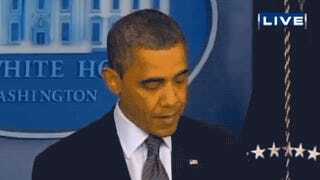 From the Costa Concordia to the Presidential election to Hurricane Sandy, this is your year in GIFs. January 14. 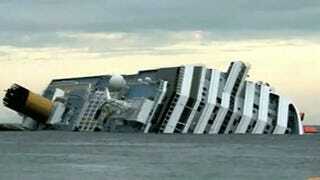 The 984-foot cruise ship Costa Concordia runs aground on the island of Giglio, Italy. More than 4,000 people were evacuated, 30 dead, two missing and presumed dead, and 64 injured. January 19. Kim Dotcom gets busted at his New Zealand mansion at the request of the US government. His beloved Megaupload servers are closed. This is not the best photo of Dotcom, but it's the cream of the animated crop. March 6. 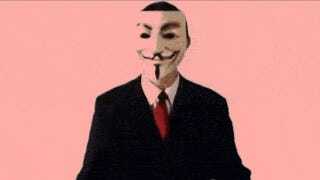 Anonymous falls to ruin after its beloved leader betrays them. May 18. 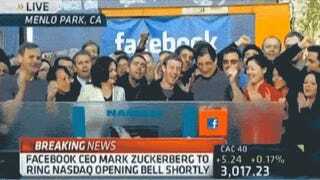 Facebook debuts on the stock market in what became one of the biggest (or at least most decried) IPO disasters mankind had ever witnessed. July 15. PSY 6 releases Gangnam Style. It quickly went viral. By the end of the year, the video was the most watched clip in the history of the internet. July 27. The 2012 Summer Games open in London. 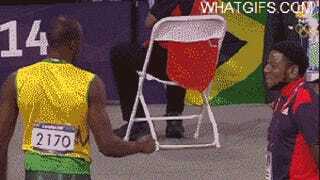 A couple weeks later, Usain Bolt runs his way into the history books by achieving a "double triple:" winning 100 meters, 200 meters and the 4x100m relays at consecutive olympic games. Along the way, he fist-bumped his way into our hearts. August 6. The Mars Curiosity rover lands successfully on the Red Planet after seven minutes of terror. The most successful NASA mission in decades. September 7. The Syrian civil war has been ongoing since last year, but the last months have been more bloody than ever. In this terrible image you can see a clear example: rebels of the Noor Den al-Zenke battalion being obliterated by a Syrian army tank in Aleppo. October 14. 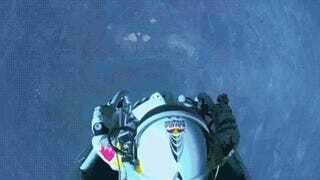 Felix Baumgartner jumps from 127,000 feet all the way back down to Earth, breaking not only the sound barriers, but some world records as well. He gathered vital information for NASA in the process. October 15. The Space Shuttle flew for the last time in 2011, but the individual spacecrafts made their way to their final homes this year. 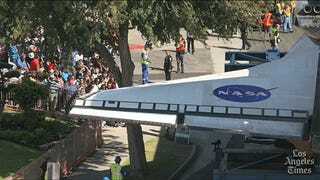 The Endeavour, pictured here, had to go through the streets of Los Angeles to arrive at its final destination. October 29. Frankenstorm Sandy hits the North East of the United States, causing billions in damage and killing more than a hundred people. In this image, the Con Edison power plant on New York's 14th Street explodes. November 12. 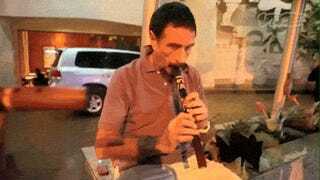 The outlandish saga of John McAfee begins. Wanted for questioning about to the murder of his neighbor, the antivirus millionaire escaped Belize only to be caught a few weeks later and deported to Miami. 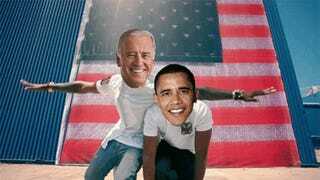 November 29. Palestine is admitted to the United Nations as an observant state amidst increasing tension in the Middle East. Thanks to the Iron Dome missile defense system, the Israeli people are not suffering as much as in other Hamas assaults. December 11. 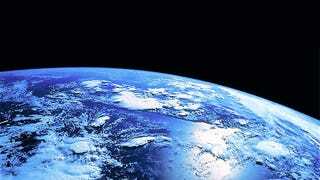 North Korea successfully launches a rocket capable of intercontinental attacks. 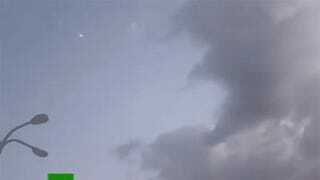 Its cargo, allegedly a satellite, is still tumbling uncontrollably through space. December 14. A heavily-armed gunman kills twenty children and six adults at Sandy Hook Elementary School in Newtown, Connecticut. It's one of the worst tragedies in American history. Following widespread public outrage, President Obama vows to pass legislation on gun control.